August | 2013 | Om nom nom! 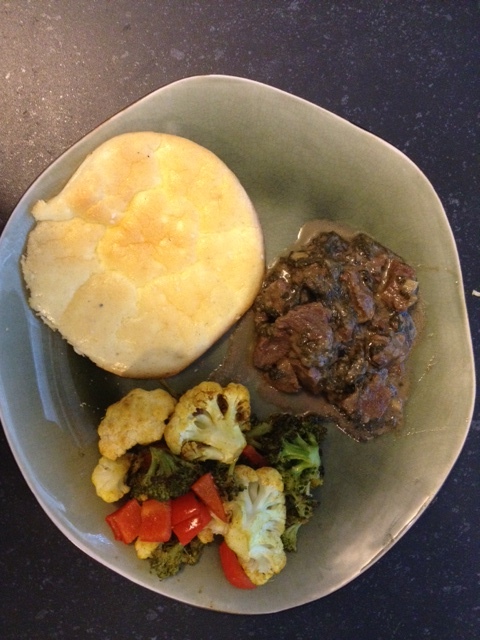 We were really happy with this tasty, easy baked chicken dish, which came from a recipe database called RecipeSource. I did halve the sugar in the recipe from 1/2 cup to a 1/4 cup, so the rub was more watery than intended. But lost no flavor and it stayed on the chicken without trouble. 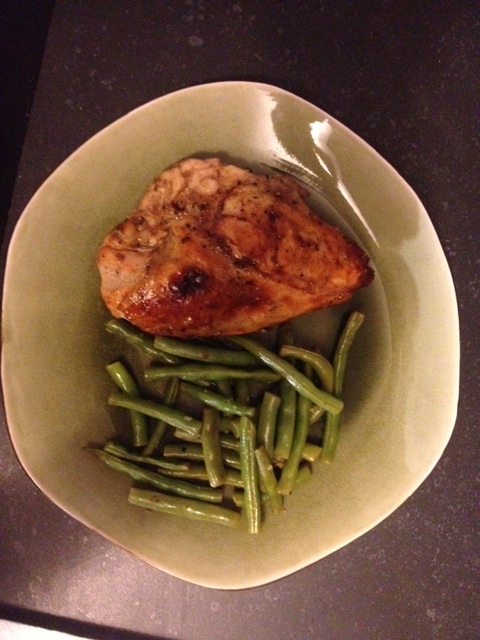 The sweet rub on the chicken paired really well with some spicy garlic roasted green beans as a side. It also made a lot – I used four split chicken breasts, but you could really use any chicken you liked – a whole cut up chicken would be great for leftovers.